Discussion in 'Mapping Questions & Discussion' started by Plauge Doctor, Jan 21, 2016. Has anyone her played ctf_HAARP? I loved the "Cap Intel" A/D. I am new to mapping but, I thought about recreating the defusal gamemode from CS:GO. I drew a Red-Only Capture point that will start disabled. Then I drew a Flag Capture area for blue on top of it. Cap the flag, and BOOM! Red has 60 seconds to either cap (10 second duration) or kill the Blues. 1. The Flag overides the Arena Logic, or seems to, as I can respawn. 2. I have a output after 60 sec of the flag "bomb" being capped. Blue would cap Red's Defusal Point, winning them the game. 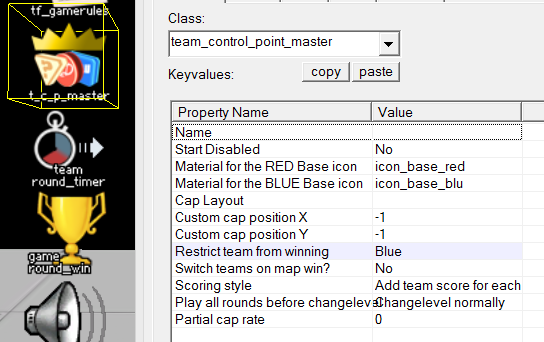 The SetCaptureTeam doesn't work, but the enable of blue to cap before it so it will work, allows blue to cap in 10 sec like RED. Help pls. Flags block the arena logic but if you tie them to a point_template and spawn them as soon as the map starts the arena logic survives. I can't understand your second point, I can't parse what you've written, can you rewrite it in a more structured way please? For the point to be Blue, meaning Blue wins the round. Edit: The Link to Defusal 2 goes to a greeting page? That link goes to a very different post. Somehow a 0 got lost in the process? http://tf2maps.net/threads/defusal2.24000/ Would seem easy if it was the final character pasted and I missed one, but it still has the trailing slash. The blue team captures a flag, then has to capture a control point. Once they've done both, the round ends with a blue victory. If the blue team captures the flag but then can't capture the control point within 60 seconds the round ends with a red victory. Kind of. All of it is correct, except I was going to use SetCapTeam to blue for it to cap instantly. Not so blue would stay there for 10 seconds to cap, but using a timer activated on flag cap to output the capture for blue after 60 seconds. Also, I am having trouble with the point template spawning the flag, I have the flag in the template, and a env_entity_spawner with the flag's point_template as it's template to spawn, but a MultiNewRound in a logic_auto won't spawn the flag. Why are you using an env_entity_spawner? Send ForceSpawn directly to the point_template. Still not clear on what you want the capture point to do. An instant cap once a blue player touches it? Or a cap 60 seconds after the flag is capped, ignoring the actions of any blue players? Why even have the control point if it's just capped 60 seconds after the flag is? Attackers take the bomb to a bomb zone. Attackers arm the bomb by standing next to it for a little while. Defenders have an amount of time to defuse the bomb. This is done by standing next to it. The attackers win if they manage to arm the bomb and it isn't defused. The defenders win by defusing the bomb. Either team wins if the other team is all dead. 3. Defenders have an amount of time to defuse it, and have to defuse it by cutting wires. I would like to see this done, it was fun in CS, so who knows what itll be in TF. I made a quick test map of the capture point part of your idea (minus the arena logic, I'm not entirely sure how to use point_templates) with a few minor changes that I think would be easier to players to understand. Hopefully this matches up with what you wanted. In this setup, Blu takes the flag to a neutral control point, which unlocks only when the flag touches it. 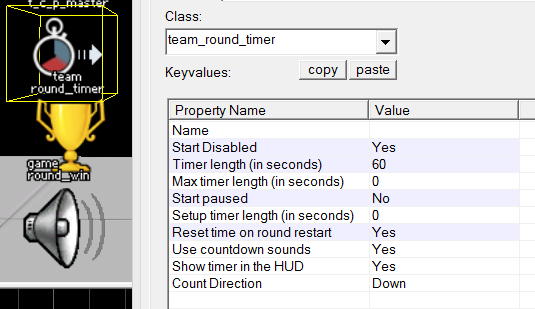 Blu will gain ownership of the point and a 60-second timer will start. Red must capture the point within these 60 seconds, or Blu will win when the timer runs out. 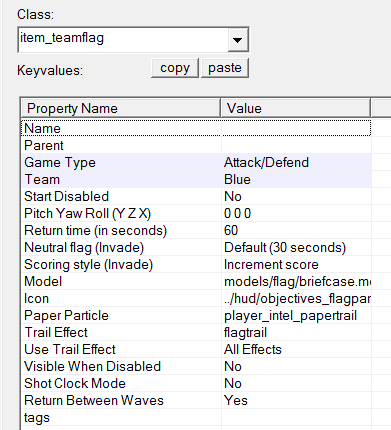 Set hud type to CP to override the CTF hud caused by the item_teamflag. Blu is restricted from winning so that they can bring the flag to the capture point and own it without instantly winning the game. Starts disabled so that it can be activated when Blu brings the flag to the capture zone. This is how Blu will win, since they are restricted from winning just by capping the point. The only purpose of this is to play the capture bell sound when Blu captures the flag, since they get ownership of the point via input and the sound doesn't play on its own. Now we move on to the control point, which is basically the standard setup but with a few things changed. 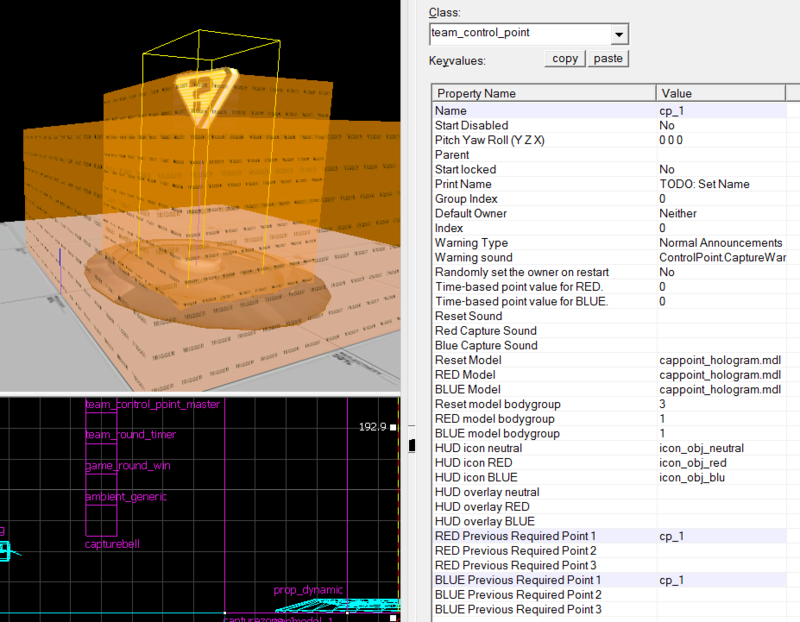 Lastly, the func_capturezone should have the default keyvalues and the five outputs pictured. 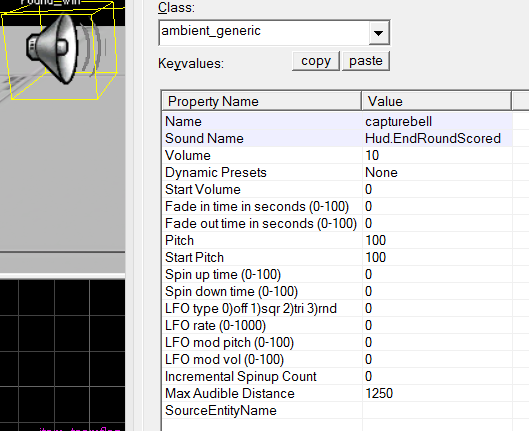 They will enable the trigger_capture_area (which only Red can cap), set the owner of the CP to Blu (team 3), start the 60-second timer, play the capture sound, and kill the flag entity so it doesn't respawn. Thanks Kilohurtz. I cannot thank you enough for this help. You go in my inspiration book with UEAKCrash! I think I am over complicating this. Ill go with your suggestion, +modifications. Also, THANK YOU FOR SCREENSHOTS. That helps tremendously!